In 2017, a boy scout from Maryland was cliff climbing with a friend in New Mexico when he fell and hit his head. He was airlifted to a nearby hospital where doctors told the boy’s parents that he had suffered a traumatic brain injury and that his life was in serious jeopardy. After spending months in a coma and months in rehab, this brave teen is still struggling to recover from his injuries- a struggle that could last a lifetime. September marks National Traumatic Brain Injury Awareness Month. In spreading awareness about the prevalence of these catastrophic injuries, the most common causes, and their life-changing effects, brain advocates around the country are hoping to reduce the number of TBI’s tragically affecting so many lives and families across the United States every day. TBI’s are severe brain injuries that can affect a person’s physical, emotional, and behavioral abilities. 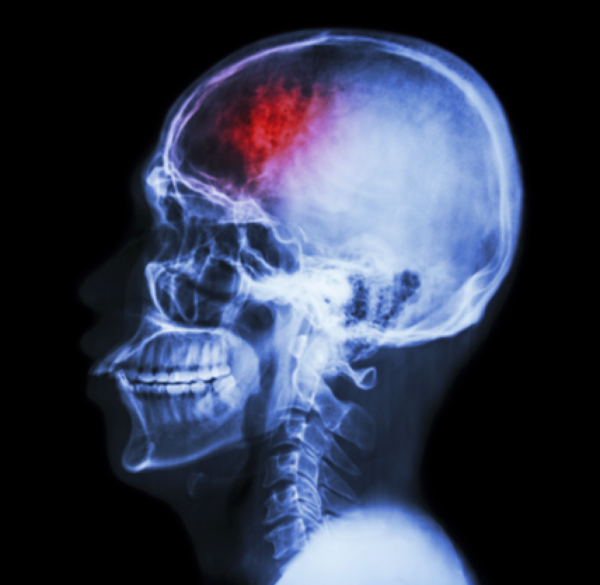 Unlike some other acquired brain injuries which can result from illnesses or other health conditions, TBI’s are specifically caused by external forces such as forceful bumps, jolts, or blows directly impacting the head. Medscape further defines a traumatic brain injury as a noncongenital, nondegenerative injury to the brain caused by an external mechanical force with the possibility of causing permanent or temporary impairments to the brain. These forces can be sustained under various conditions, most of which are unexpected and unnecessary accidents. TBI’s sustained from any of these accidents can range from mild to severe depending on the speed/force behind the impact and the area of the brain most affected. Each patient can display a range of symptoms that everyone should be trained to recognize to help pinpoint TBI’s before they become permanent or fatal. People who sustain traumatic brain injuries do not always have open head wounds or even lose consciousness. There are several different symptoms that victims of TBI’s can demonstrate that signal to others around them that medical attention is needed. Children can also demonstrate these symptoms and in addition, may have trouble eating, nursing, or being consoled. If you notice any of these symptoms in someone who has recently sustained an injury to the head, medical attention should be sought immediately to prevent further injury to the brain. Traumatic brain injuries cannot be easily healed. Patients who have suffered a TBI, even in the mildest forms, could be in for a lifetime of recovery and therapy. Some victims of TBI’s need to relearn motor skills, overcome deficits in cognitive functioning, or endure a constant battle with chronic pain and bodily decline. Brain injuries can take a significant physical, emotional, psychological, and financial toll on not only the patient but their caregivers and families, as they alter their lives as well to support the painful recoveries of their loved ones. Sustaining a traumatic brain injury for anyone is a serious hardship, but for those whose injuries were caused by the negligence of others, the impact can be especially devastating. The research field for traumatic brain injuries is complex and ever-changing. Victims of negligent traumatic brain injuries looking for council do not need just any lawyer- they need an expert in their injury. Our committed personal injury attorneys at D’Amore Personal Injury Law are constantly educating themselves on the most recent medical and scientific research regarding TBI’s and other brain injuries to better understand and properly support the changing needs of our clients. With over 40 years of collective experience supporting individuals and families through catastrophic and life-changing brain injuries, D’Amore Law has become experts in this sensitive field of law, aggressively seeking justice for those who deserve it the most. Call us for a free case evaluation to explore your options for fighting back against your traumatic and unnecessary injury.